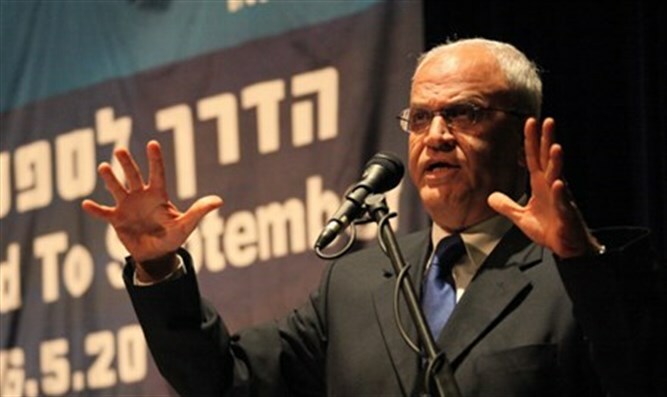 PLO secretary general Saeb Erekat calls on international community to take action against Israel following approval of 2,500 units in Yesha. Israel must face international action after announcing the approval of the construction of 2,500 housing units in Judea and Samaria Tuesday following US President Donald Trump's inauguration, a top PA official said. "The international community must hold Israel accountable immediately for what it is doing," PLO secretary general Saeb Erekat told AFP. He added that Israel had been emboldened by "what they consider encouragement by American President Donald Trump."